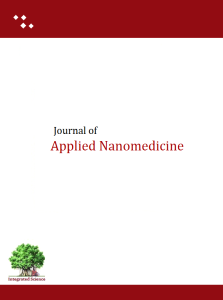 Nanoinformatics is a recent emerging research field at the interface of several disciplines to provide the future insights in development of nanomedicine. It includes research in informatics (information technologies and computer science), nanotechnology, medicine, biology, chemistry, and physics. Nanoinformatics refers to the practical application of information technologies to gather, store, retrieve, and process information, data, and knowledge on the physicochemical characteristics of nanoparticles, nanomaterials, and nanodevices and their potential applications, especially in the biomedical field. The field of study is mainly in the application of informatics in development of translational medicinal research. Various workshops has been organized by various groups and institutes for nanoinformatics. Such as anticipating the data integration hurdle, the National Cancer Informatics Program Nanotechnology Working Group, in partnership with the National Nanomanufacturing Network and the Sustainable Nanotechnology Organization is pursuing a series of pilot projects focusing on methods used across the therapy, human health and environmental communities, but with each subscribing to a different description of the resulting data. This is the case with electrokinetic phenomena: zeta potential, electrophoretic mobility, etc. These colloid science concepts are used in materials sciences, environmental engineering, nanotoxicology, nanomedicine, food science; they also form the basis for interpreting data from analytical techniques, e.g. gel electrophoresis, field flow fractionation, flow cytometry, and ultracentrifugation. Yet, there are meaningful and often overlooked differences in interpretation. The zeta potential workshops provide indepth information collection from molecular memberanes and interaction with particles. We are taking you to new updated page of journal in 10-15 seconds……….